If you thought that all of the shark excitement left with the end of Shark Week earlier this month, you were wrong...and Inc. Magazine is the culprit. 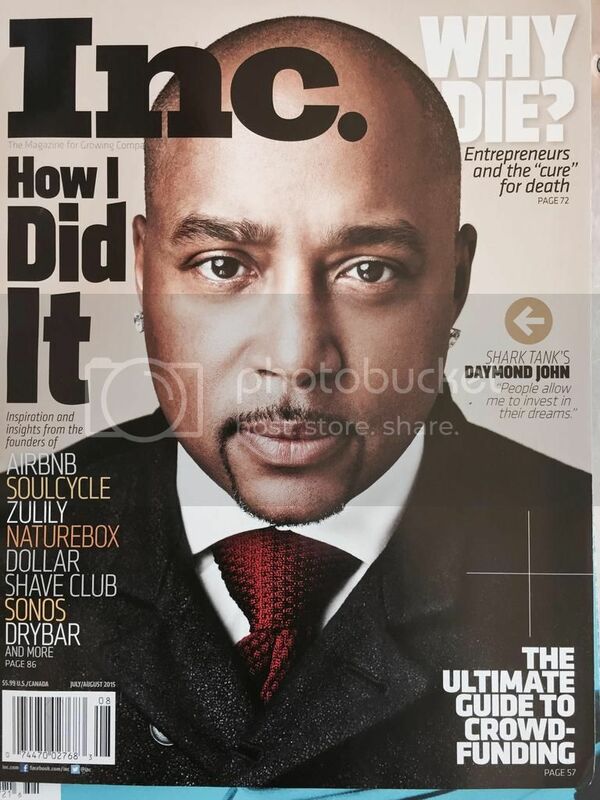 Shark Tank star, entrepreneur and branding expert Daymond John will be gracing their July/August cover! Daymond's story is a powerful example of the heights to which determination, passion and innovative thinking can take someone. He, along with three friends, founded the powerhouse urban brand FUBU in 1992 and ran the company out of their converted factory and living space for three years. FUBU became a million dollar company after landing an investment by Samsung in 1995! 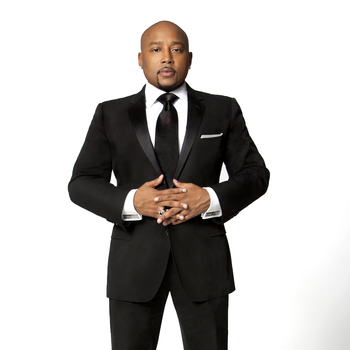 Daymond drew inspiration for the brand from his neighborhood (Hollis Queens, New York) and used his ideas to re-define the fashion world. With highly prestigious awards like Brandweek "Marketer of the Year," Ernst & Young's "New York Entrepreneur of the Year," and the Congressional Achievement Award for Entrepreneurship under his belt, it's no wonder that he is now one of the most sought after speakers on business and the power of branding. He's made it his mission to help other dreamers and entrepreneurs work towards their own dreams through speaking engagements, Shark Tank or his newest venture: his own incubator company.